Patricia Jia is the Communications and Marketing Associate at the Center for High Philanthropy (CHIP). Her work includes developing marketing strategy for CHIP’s guidance and events; measuring the impact of CHIP’s work; and managing CHIP’s online activities, including its website and social media accounts. Patricia earned her B.A. 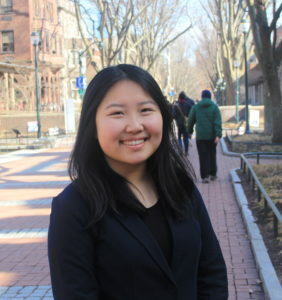 in Communication from the University of Pennsylvania and is currently pursuing her master’s degree in Nonprofit Leadership at Penn’s School of Social Policy and Practice. She is a connoisseur of Federal Donuts, avid fan of hip hop, former contestant on Jeopardy! and wholehearted member of Grace Covenant Church.